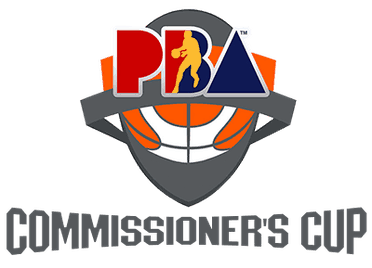 The PBA Commissioner’s Cup is the second installment of the Philippines Basketball Association’s regular season. Our team of basketball betting analysts has created this PBA Commissioner’s Cup Betting Guide to inform Filipinos of their legal basketball betting options in regard to domestic basketball. There are several legal basketball betting options through licensed and regulated offshore sportsbooks. When it comes down to betting on basketball, insight into the best teams and players goes a long way. This guide has information on the teams in the running as well as how you can wager on PBA basketball. You will also find the best available sportsbooks hosting legal PBA Commissioner’s Cup betting action that accept Philippines residents. Is It Legal To Wager On The PBA Commissioner’s Cup? It is legal for Philippine residents to bet on PBA games, including the Commissioner’s Cup, Governor’s’ Cup, and Philippine Cup through licensed and regulated offshore sportsbooks. Philippine gambling laws restrict domestically based online sportsbooks from accepting Filipinos. This means that licensed offshore sportsbooks are the best viable legal option for betting on basketball online in a safe manner. Our team of online sports betting analysts searched the Internet to find the best available sportsbooks that accept Philippines residents. Each one of these sites has been vetted for legal licensing and regulation. We also screen for betting line selection, wagering type categories, security settings, customer support options, bonus/promotional offerings and mobile/live betting capabilities. You can browse through our recommended sites by clicking on the links in the table below. Which Teams Should I Bet On In The PBA Commissioner’s Cup? At the start of this year’s conference, the San Miguel Beermen were expected to be at the top of the standings. They have a star player in Renaldo Balkman, who also happens to be leading the league in points per game. However, the Beermen have fallen short of expectations. So far, the Rain or Shine Elastopainters have emerged as the strongest team in the competition and are on their way towards a twice-to-beat advantage in the Playoffs. The Elastopainters aren’t as safe a bet as they were at the beginning of the season and there are several teams within striking distance of taking the lead. When looking at sportsbook betting lines on the PBA Commissioner’s Cup, the Elastopainters, Alaska Aces, TNT Katropa and Meralco Bolts are the strongest teams to wager on. These teams’ records speak for themselves and they provide the best odds of securing a winning bet. If we’re talking teams to stay away from, the Blackwater Elite have only managed to win 1 game throughout the entire season. The NLEX Road Warriors are also bad news when it comes to betting strategy. Questionable teams, meaning teams with average records that walk the line between safe and sorry betting, include the San Miguel Beermen, Barangay Ginebra San Miguel, Magnolia Hotshots, Phoenix Fuelmasters and Columbian DYIP. Prop betting is an exciting way to increase your potential earning with sports gambling. It involves betting on a specific occurrence or nonoccurrence in a game. The most lucrative prop betting opportunities revolve around individual player stats. Some examples include betting on whether a certain player reaches ‘x’ amount of points, whether there will be steals, blocks, etc. We’ve compiled a list of players that fit into specific statistical categories that may come in handy when it comes to PBA Commissioner’s Cup prop betting. Keep in mind that each one of these players leads the league in the mentioned figures. Balkman is a good lock for any props involving blocks and provides a strong case for the San Migeul Beermen hitting the over on total bets. Rebounding is often a stat used in prop betting and if we’re talking who is getting the most boards during a game, Fields is someone to look for. Keep him in mind if you see any props revolving around total rebounds in a quarter or the game itself. Banchero is the best provider in the league when it comes to helping teammates. Not only does has he helped the Aces get into a good position in the standings, but he also provides a solid bet for any props involving assists during an Aces game. A common prop bet involves the amount of 3-point shots in a game. Keep an eye on any props surrounding 3-point shooting and the Hotshots. If de la Rosa is on the floor, there is a good chance the Hotshots will be shooting well from beyond the arc. Can I Bet On The Commissioner’s Cup Using My Phone? Yes. Licensed offshore sportsbooks host mobile wagering through optimized mobile friendly sportsbooks. There is no app download required and you can access the sites through your browser. All the same betting lines and wagering types are available on the mobile platforms as there are on the websites. Physical and functional components of the mobile site work fine no matter the size of your screen thanks to responsive design technology. Is Live Wagering Available On PBA Basketball? Our recommended offshore sportsbooks host live betting on multiple sports categories, including basketball. Navigate to the live betting section of the site to find which live wagers are available. Be sure to read the rules for basketball live betting, as these can differ from traditional basketball betting standards. What Bonuses Are Available For PBA Betting? The most common type of bonus is a match bonus. This is when the sportsbook matches your deposit by a percentage up to a specific amount. Other common bonuses are reserved for mobile and live wagering. Cryptocurrency users can take advantage of additional bonus rewards.